A new study by researchers at the University of Massachusetts has shown that cold winter temperatures are needed to trigger spring migration. "The temperature at the overwintering sites is a critical component for the completion of the migration cycle. Without this thermal stimulus, the annual migration cycle would be broken," says Dr. Steven Reppert co-author of the study. The discovery solves one of the longstanding mysteries of the monarch migration. Fall migrants after being subjected to cold treatment for 24 days oriented northward. Fall migrants not subjected to cold continued to orient southward. The scientists tested other variables, such as day length. 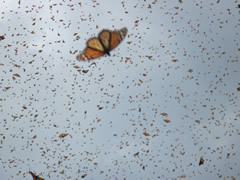 However, the results showed that changes in temperature alone altered the flight direction of the butterflies. 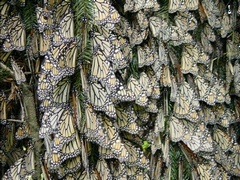 "Without exposure to coldness, the butterflies would continue to fly south; they would not be able to reverse their flight direction," the scientists noted. "There appears to be a fine temperature balance at the overwintering sites that is critical for successful migration." Each fall, eastern North American monarch butterflies (Danaus plexippus) migrate from their northern range to their overwintering grounds in central Mexico. Fall migrants are in reproductive diapause, and they use a time-compensated sun compass to navigate during the long journey south. Eye-sensed directional cues from the daylight sky (e.g., the horizontal or azimuthal position of the sun) are integrated in the sun compass in the midbrain central complex region. Sun compass output is time compensated by circadian clocks in the antennae so that fall migrants can maintain a fixed flight direction south. In the spring, the same migrants remigrate northward to the southern United States to initiate the northern leg of the migration cycle. Here we show that spring remigrants also use an antenna-dependent time-compensated sun compass to direct their northward flight. Remarkably, fall migrants prematurely exposed to overwintering-like coldness reverse their flight orientation to the north. The temperature microenvironment at the overwintering site is essential for successful completion of the migration cycle, because without cold exposure, aged migrants continue to orient south. 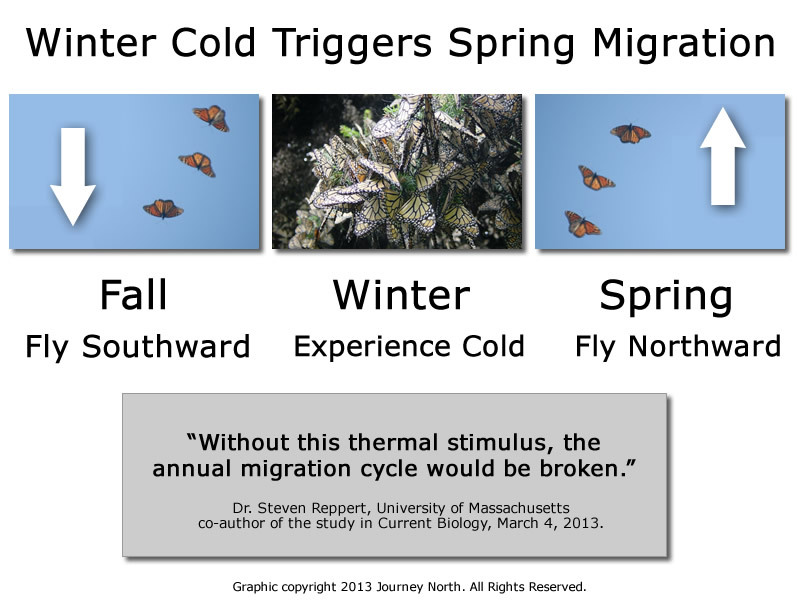 Our discovery that coldness triggers the northward flight direction in spring remigrants solves one of the longstanding mysteries of the monarch migration.